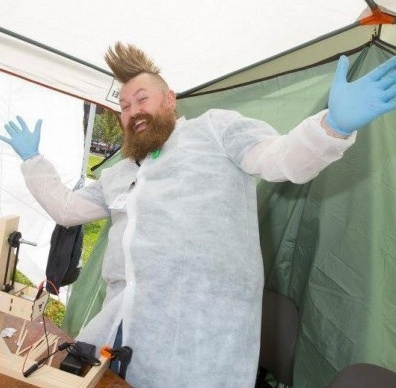 Community Spotlight – Matt Stultz on 3D Printing Materials #3DThursday #3DPrinting « Adafruit Industries – Makers, hackers, artists, designers and engineers! Matt Stultz on 3D Printing Materials! 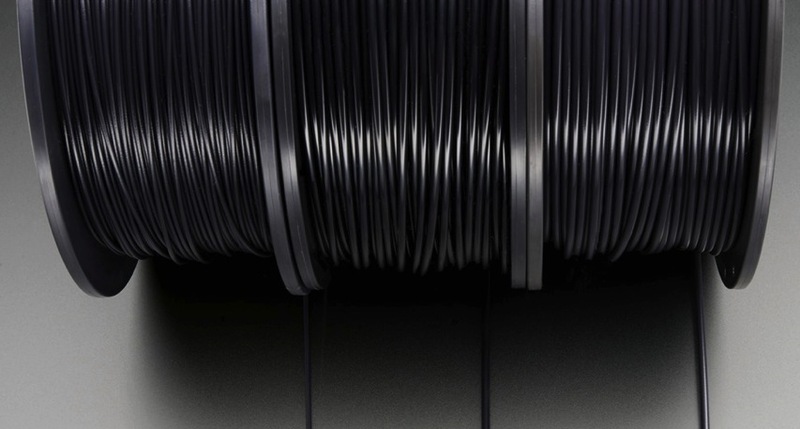 Q: Most of us who are using desktop 3D printers are using ones of the filament extruding variety (FFF and FDM are both accepted names for the type). 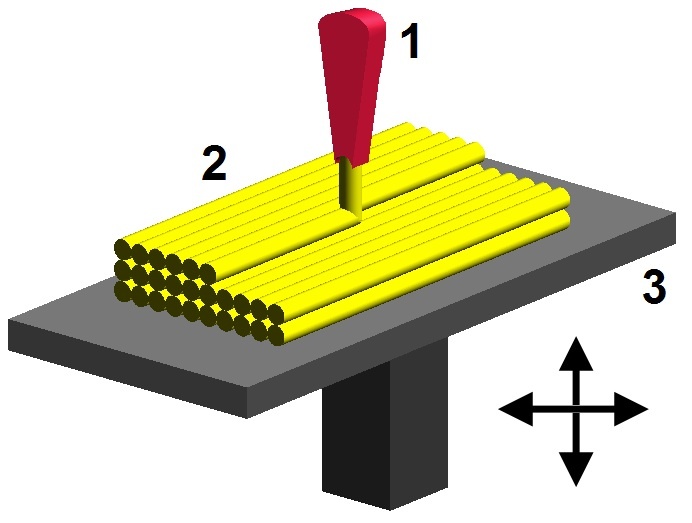 Can you tell us a little bit about the composition of the filament itself? Most FFF filaments are all part of class of materials known as Thermoplastics. These materials lend themselves to 3D printing because they can be transformed into a viscous liquid with heat and will reconstitute themselves back into a solid as they cool. PLA, ABS, Polystyrene, and Nylon are all thermoplastics. Of course plastics have been around for quite a while now and we are starting to see more and more of them coming to market for 3D printing. One of the bigger trends is starting to see blends of plastics and plastics imbued with other materials such as wood fiber, carbon fiber, and metal particles. 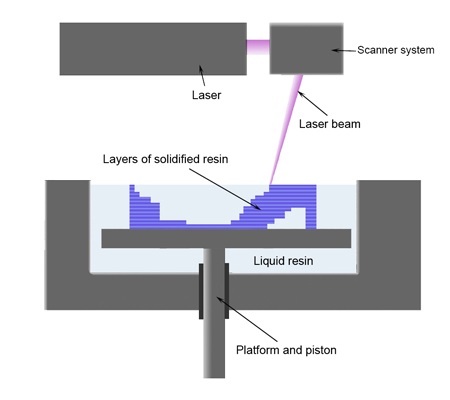 Q: Now that affordable stereolithography (SLA, UV laser based) and digital light processing (DLP, typically optically visible light) desktop 3D printers and DIY kits, many of us are looking to learn more about photopolymer “liquid resins” — what are they made of? SLA resins are typically a proprietary formula of some kind of acrylate resin mixed with a photosensitive hardener. Companies are spending a lot of time and money into finding better recipes for resins but because of this they are largely keeping them secret. Q: What is the first step you take when you are looking to try a new experimental material? Well I mostly work with materials that are coming in as filaments because these are what are going to be accessible to users. I do have a small filament extruder that I plan on starting to run experiments on materials that are just in pellet form soon. So the first thing I will do is look at the documentation from the company. This has really been improving as of late. Then if I know the base polymer, I will try to look at any specs I can find for it online. Wikipedia is actually a great source to find out more about the characteristics of different plastics. One of the biggest things I am interested in is material interoperability. How can I use a multi head machine to mix two or more plastics in a single print and use the unique characteristics of both to make better printed objects. I got started with this when I was hunting for a material to use as a support material. I finally stumbled upon the hips limonene solution. I published my findings (here) and it’s now being adopted by many users and vendors. So any new material I will start to try to print with other materials and see how they bond to each other and what advantages the two might have. 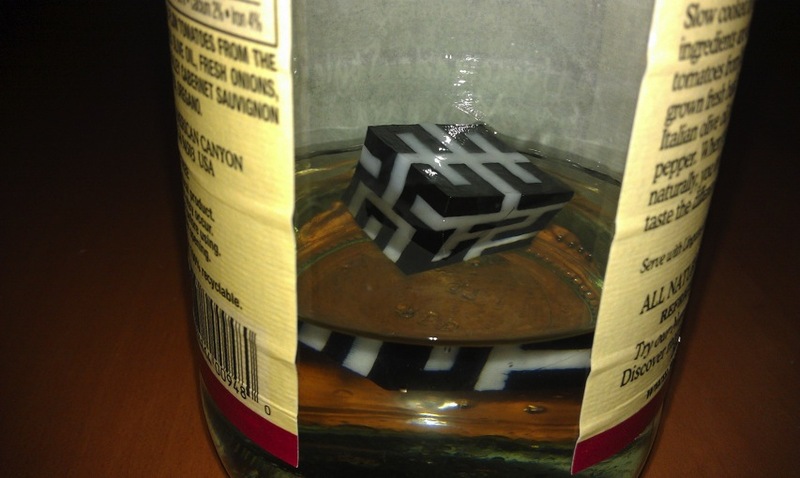 Q: What are some counterintuitive discoveries you have made about working with ABS, PLA, TPE, etc that a beginner to 3D printing needs to know? Well we found that PLA is actually stronger than ABS. This was counterintuitive because PLA prints tend to break more than ABS prints. The actual fact is that on pure strength, PLA can take more force but it’s far more brittle so shocks to it will result in breaks where ABS can bend and flow more. TPE (Thermo Plastic Elastomers) are great but are not for a beginner in my opinion, they just want to worm their way out of your extruder anyway they can find. Q: Let’s talk ABS — in what contexts do you prefer it, how do you like to finish with it, where is it a limitation? ABS is my go to filament I prefer it for almost everything. There are many finishing options left to the user from sanding to acetone processes. Again, it doesn’t tend to break as easily as PLA prints. The downside is when you need a really strong rigid part, then I turn to PLA or Nylon. Q: Let’s talk PLA — in what contexts do you prefer it, how do you like to finish with it, where is it a limitation? I use PLA on machines I own that don’t have heated beds. I also use it for big flat prints when I’m worried about the possibility of curling and warping. I don’t like the finishing options available for it although I did just get the Smooth On XTC 3D print finishing kit that I look forward to checking out. 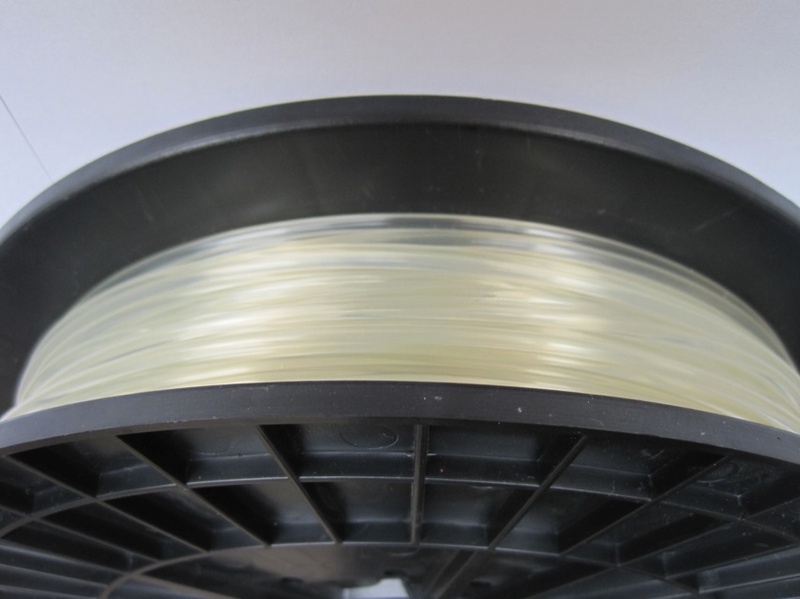 Q: Let’s talk flexible filament — in what contexts do you prefer it, how do you like to finish with it, where is it a limitation? Well I prefer it anytime I want something flexible of course! Really, I have been using it as a secondary material in prints. It’s great for making hinges in your designs or shock absorbers. I’m less of a designer of pretty things and mostly make functional items. Giving by prints the option to bend and move without breaking has been huge. Q: Let’s talk metal filament — in what contexts do you prefer it, how do you like to finish with it, where is it a limitation? 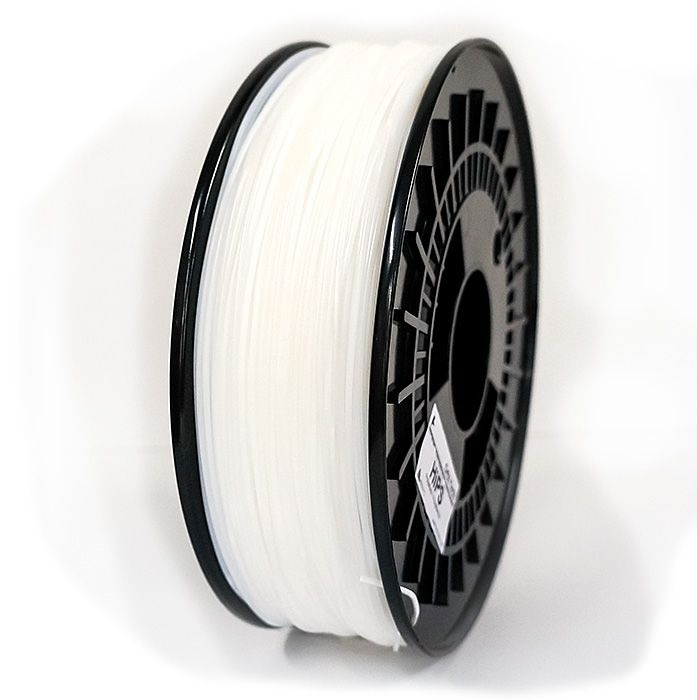 Q: Let’s talk dissolvable filament — in what contexts do you prefer it, how do you like to finish with it, where is it a limitation? Let’s focus on HIPS — and your discoveries with this material! Dissolvable filaments really allow you to take your prints to new heights. Breakaway support is great for places where you can reach it. Being able to get in and remove support cleanly by dissolving it from mechanisms that are printed in one go is really a game changer. 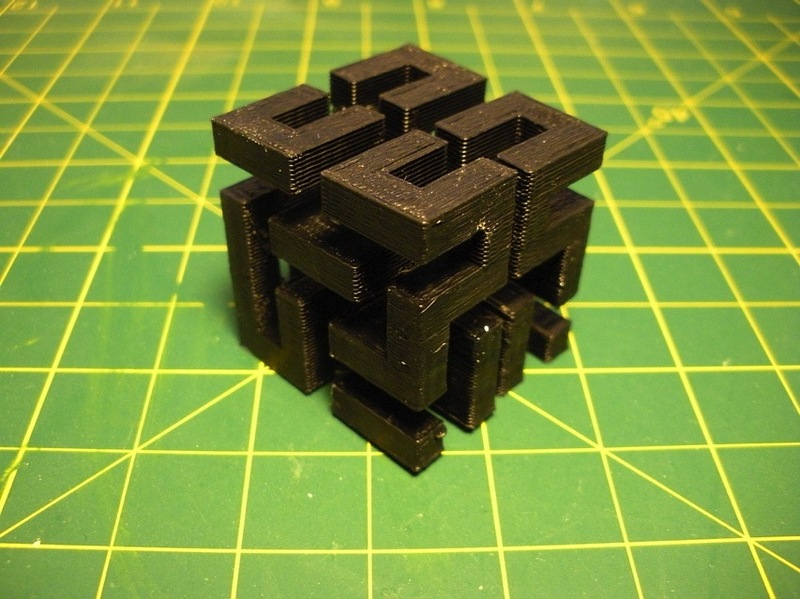 The downside right now is it requires a multi-extruder machine and users are just not adopting them because they are being marketed more towards printing multiple colors instead of multiple materials. Hopefully we will start to see more users trying multi-material prints and demanding the machines from the manufacturers (as well as better mechanisms). HIPS is a great material though just for printing with, it has a really nice surface quality right out of the printer. When I first found it, only one vendor was selling it for 3D Printing, Filaco. They didn’t even know you could use it for support material, they were just selling it as an alternative. When I started digging into the properties of HIPS and found it could dissolve in limonene, I ordered a bunch of it. After my work was released, filaco sold a bunch of it and many vendors started carrying it also. I have been asked many times why I didn’t patent the process before releasing it, I guess I care more about giving back to the community that chasing patents and making things more difficult for everyone. Q: What resources exist to learn more about filament and how it works? Well, again, wikipedia will tell you a lot but can really bog you down too. 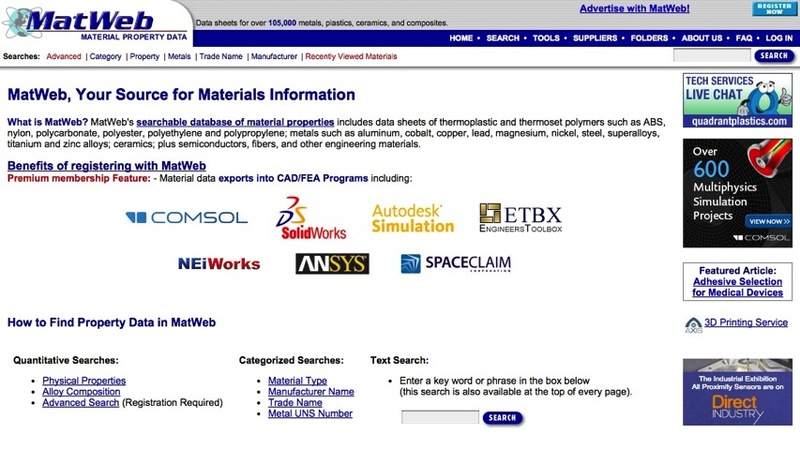 Matweb (matweb.com) is a great place to find out about all kinds of materials and their properties. If I can ever get things organized enough and get my team on track (we are busy people and this isn’t our job), we are working on a wiki that will hopefully be a one stop place for information about materials that are on the market for 3D printing. Q: what are you excited about in 3D printing materials? 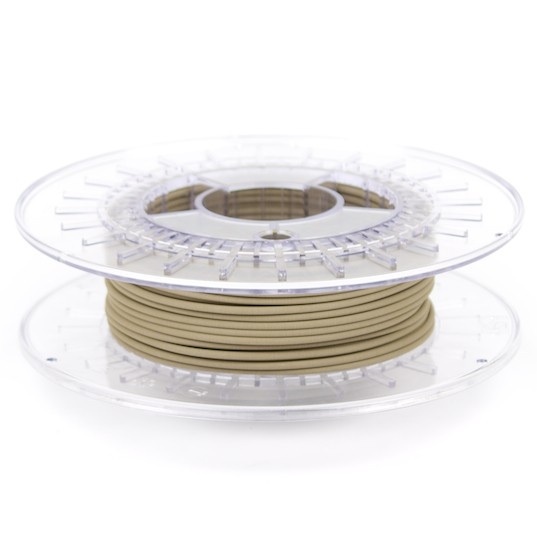 I’m really excited about not just having filament materials at our disposal. Paste extrusion apparatuses were attempted in the early days of desktop 3D printing but they were very inelegant solutions. Now at least two companies (Structur3d and Printrbot) have released new paste extruders that may fix some of the problems of the past. They tend to show these off by printing food products out of them, but in actuality it opens a wide range of other materials to users. I’m super excited to play around with printing ceramics that are ready to be fired and turned into usable pieces! Thanks again, Matt, for sharing your expertise!